July 1964. Chartwell House, Kent: Winston Churchill wakes at dawn. There's a dark, mute "presence" in the room that focuses on him with rapt concentration. Soon after, in London, Esther Hammerhans, a librarian at the House of Commons, goes to answer the door to her new lodger. Through the glass she sees a vast silhouette the size of a mattress. Charismatic, dangerously seductive, Mr. Chartwell unites the eminent statesman at the end of his career and the vulnerable young woman. But can they withstand Mr. Chartwell's strange, powerful charms and his stranglehold on their lives? Can they even explain who or what he is and why he has come to visit? 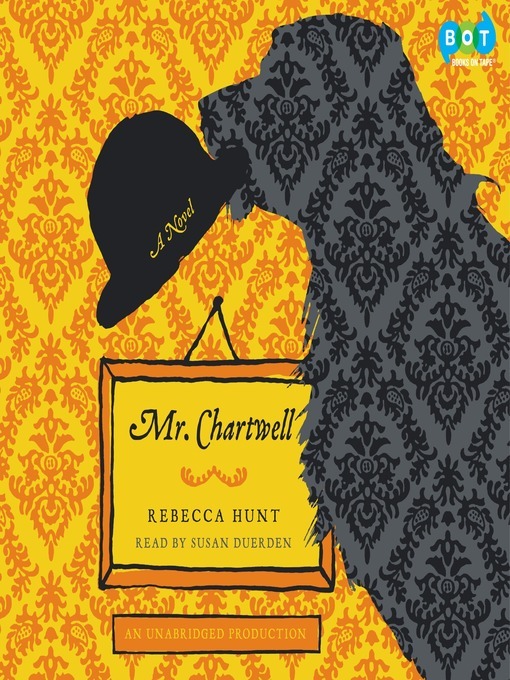 In this utterly original, moving, funny, and exuberant novel, Rebecca Hunt explores how two unlikely lives collide as Mr. Chartwell's motives are revealed to be far darker and deeper than they at first seem.